Can i buy an extra ECU for a tune? 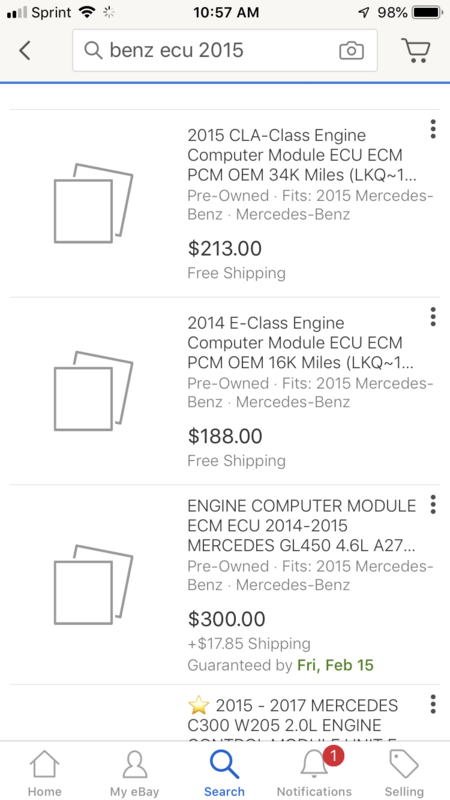 I highly doubt you bought a used ECU for $250 and am even more skeptical Kleemann was able to erase the old vin coding and rewrite it with yours. Sorry for the novice question, but are you saying the ECU you re-flash doesn't even have to be from a M157? 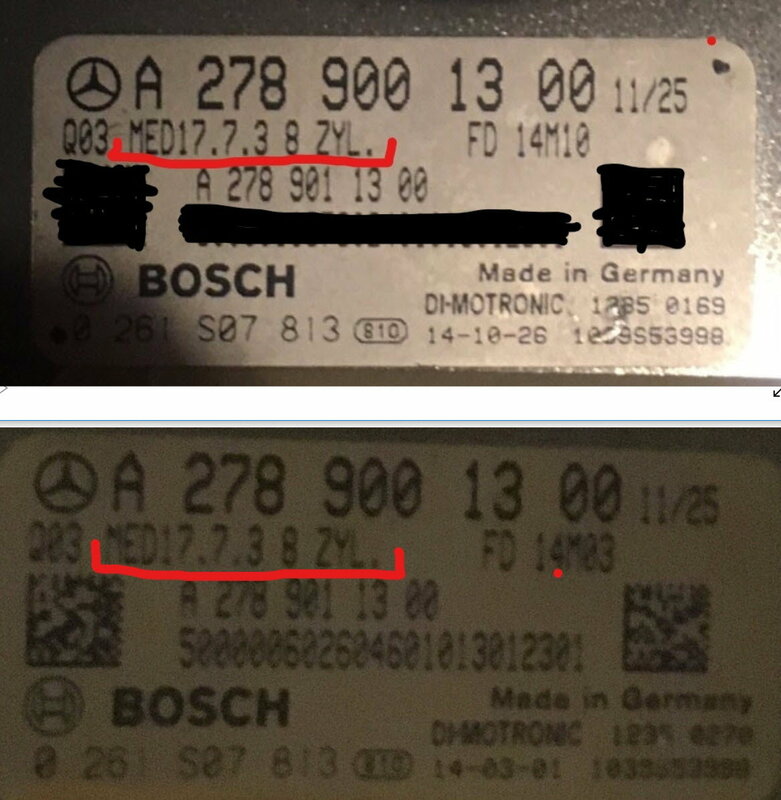 I would think if a Merceded ECU was bad, Mercedes verified bad that they replace it for free? Warrantee or not. Just saying. Nope. ECU is considered an emissions component. All Emission components are covered up to 80k miles. At least in the US I believe. Perhaps elsewhere too. Oops! I probably should have blacked out the 2D barcode too. LOL. Oh well. Here is what you look for if you are going to get a used ECU. Notice the character string underlined in red. This should match for a suitable ECU. For my string, I found about 6 options on Ebay averaging ~$600 for my string. 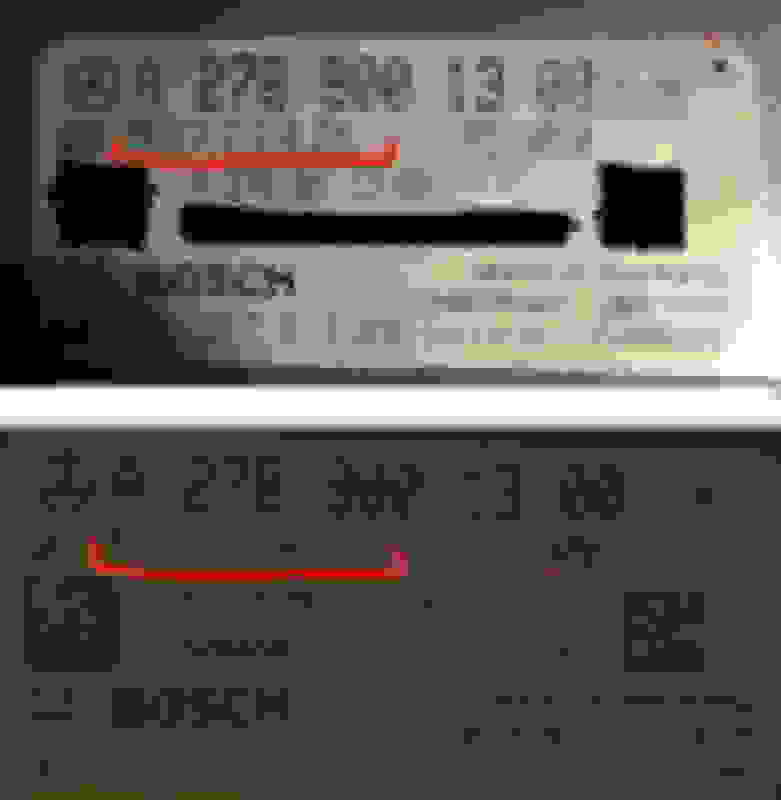 Blacked out ECU label is my OEM. Label below is my 2nd ECU (if I were to have one. ). I hope one of the tuners will chime in, but from what i know, in order to clone the 2nd ECU for your VIN, the tuner has to physically open the stock ECU and extract data from it. I am afraid this action alone will be a dead giveaway. Besides seeing that it was physically opened, i am certain that MB can see that data was extracted at some point. If there is a way around this i am not aware of, i am getting a tune today! Your concerns are valid. However, I can tell you that a tech would have to examine the ECU practically with a microscope. Very difficult to find the signs of tampering. This is not anecdotal. It is a fact. Also, I can tell you first hand that I had major warranty work done with an ECU that might Have been data-extracted and not even a blink. Lastly, I have yet to hear from a single person on this site how they were denied warranty work as a result of suspected ECU tampering or the like. ^ +1 Most techs are really not that bright, and wont ever go that in detail to check for tampering. Most reputable companies who do open the ECU's, you cant even tell it was touched. 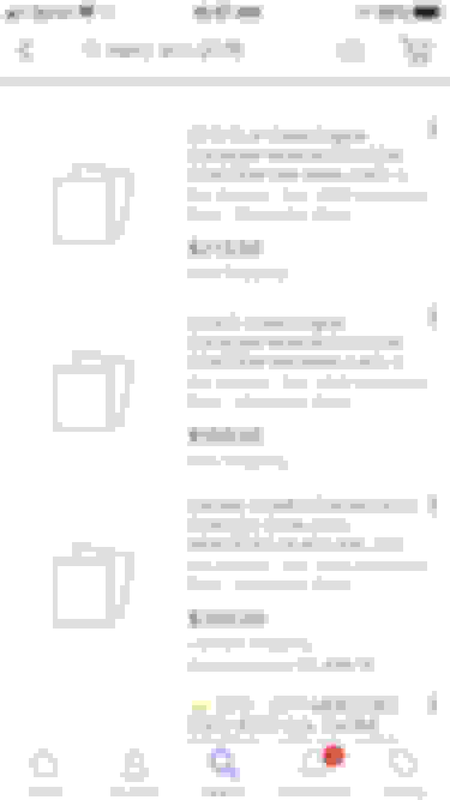 Last edited by PeterUbers; 02-13-2019 at 08:05 PM. but it's quite possible and quite easy! Quick Reply: Can i buy an extra ECU for a tune?